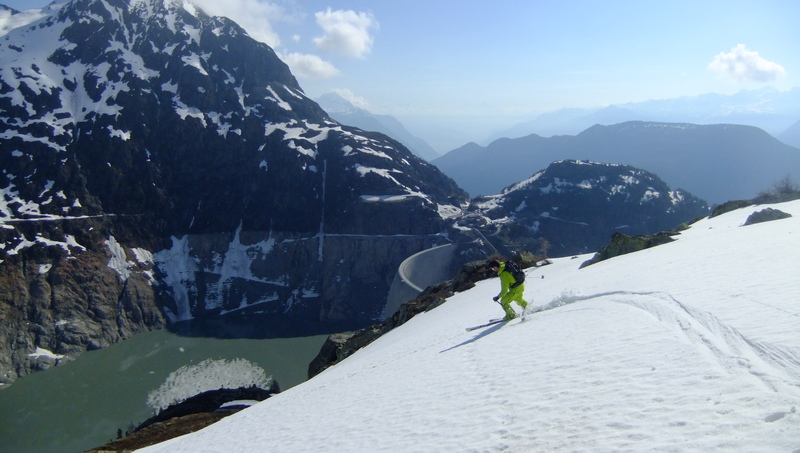 Me and Graham headed up above the Emosson Dam close to the Swiss boarder at 7am on Thursday with the plan of touring the Pointe de L’Ifala after seeing that Charlie Boscoe, Chamonix Conditions, had skied it a few days before. Heading up early so that we could start our descent before 10/11 so that we had the best snow. We immediately ran into problems when the security guard would not let us walk the road to the start of the route. We then had to try and find another route over a small shoulder hoping we could get back to the road further around, this did not work out to plan. 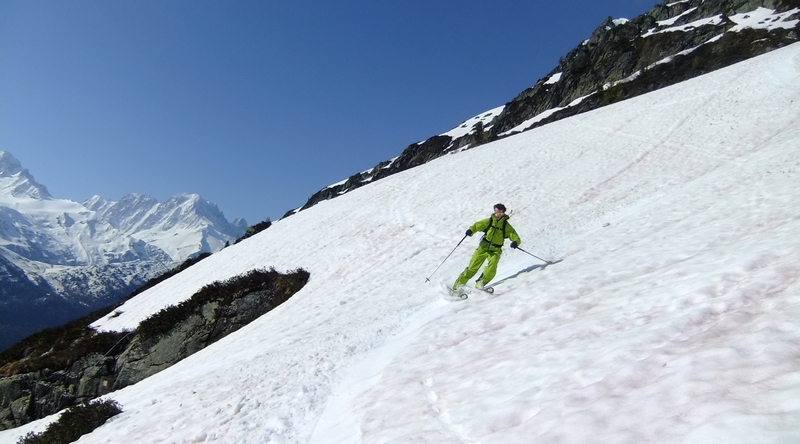 I really wanted to get out on my new skis so that I could have a good idea of how they skied before next winter. 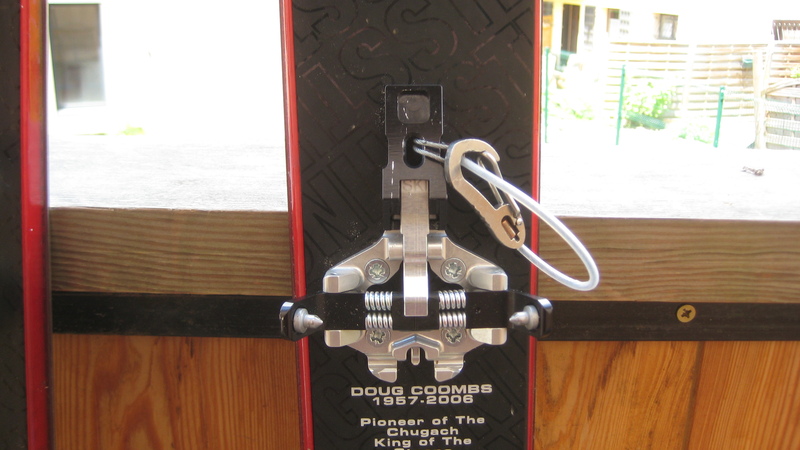 I managed to get a pair of the 2009 K2 Coomba in 188 for a bargain and already having a pair of Plum Guide bindings I thought this would make a good set up. Plum had sent me the brand new 2013/14 Plum Guide as my pins had come out of my older ones, this was for free which was a nice surprise! They look very similar to me apart from half the toe piece being a nice matte black now! No blurb has been released about any other changes. From the Dam car park you cross the Dam and head up the obvious valley in front of you. As we didn’t make it to the start I cant really comment on the route it self but we managed to make a few turn on the face directly opposite the dam. 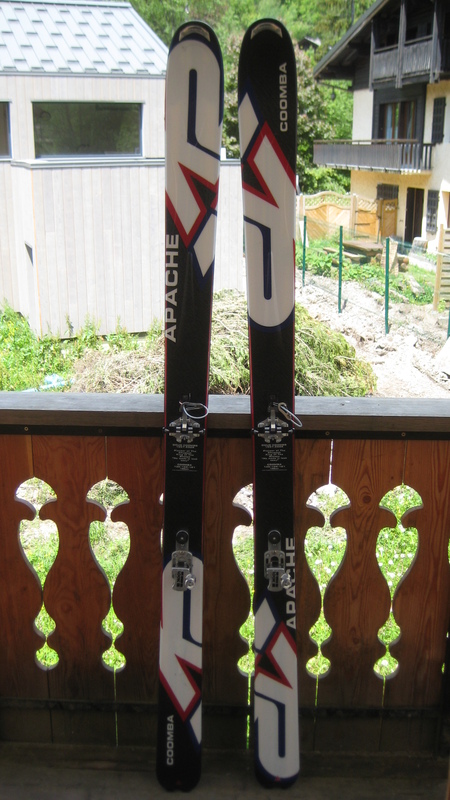 I though the skies were really good and even though they are 14mm wider than my previous touring skis the K2 Wayback they skied very similar. Maybe its because I had a few tips from Graham! 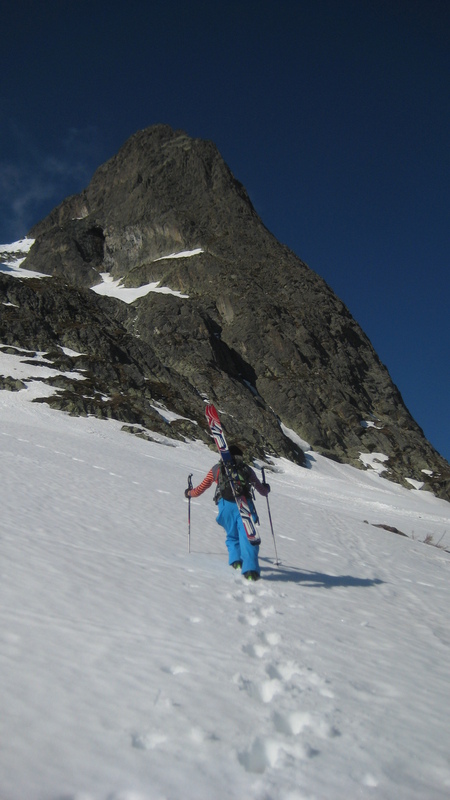 The snow was hard work on any traverse with it being quite soft but by the time we skied down it was some nice spring corn, and generally good fun! We were back at the car by 9:30 after being pretty disappointed that we didn’t do what we set out to but it was fun to be skiing in June! Thanks to Graham Pinkerton for the company and the ride. 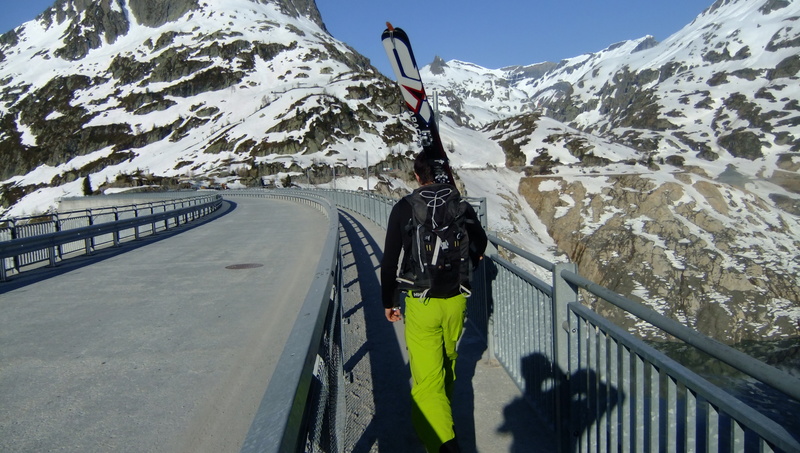 ← The Winter that keeps on giving!